I've never really availed of any loyalty program when it comes to airfare programs because I find it so hard to register and then there are a lot of steps you need to do just to get in on the program. It's too much hassle for a few points. 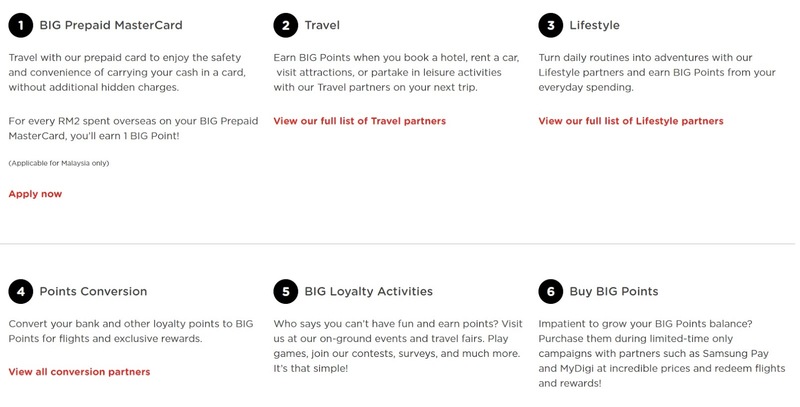 However, the Air Asia BIG Loyalty Program proved me wrong. I was able to register and be part of it in just 5 minutes. It didn't ask for too many steps and I had to answer only a few questions. I've been browsing through the site and I am loving all the benefits I can get. Now, don't get me wrong. I still hate Air Asia's Cebu terminal because they're irrational but overall, one bad seed should not taint the overall airline. Here are some information about the BIG Loyalty Programme. Right now, I am a RED member. Here ae some reasons why you should become a BIG member. And here is how you can earn points. Now when you have enough points, you can redeem rewards in a lot of different ways. I also won a domestic roundtrip ticket during the media launch which just sweetened the pot for me. I've also realized that lately, I have been flying Air Asia more than any other airlines since last year. I should have become a member last year so I could have earned points. Ugh. Don't be like me. Avail yourself of the membership program so you too can start earning points.